Using the immersion circulator continues to be our favorite way of cooking chicken. The meat is perfectly cooked and we finish it with a quick run under the broiler for some color. The sides are left over from yesterday although I did jazz up the somewhat wilted slaw with carrots, ginger, and soy. The cute cherry tomatoes are from our daughter’s backyard baskets. 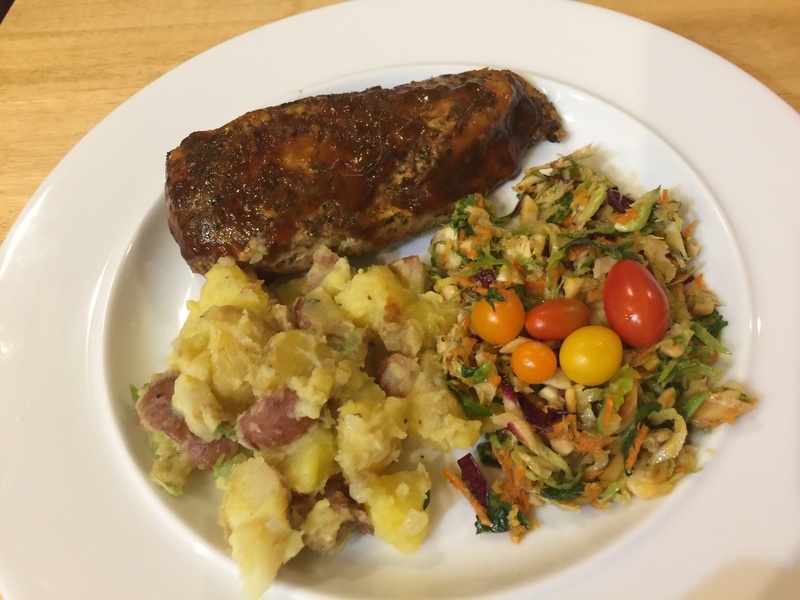 This entry was posted in leftovers, Poultry, Vegetables and tagged Brussels sprout slaw, chicken dinner, Potato salad, sous vide. Bookmark the permalink.